The State Government through the WA Department of Education provides an allowance to assist eligible families with secondary schooling costs. Applications must be completed each school year, they do not carry forward to future years. 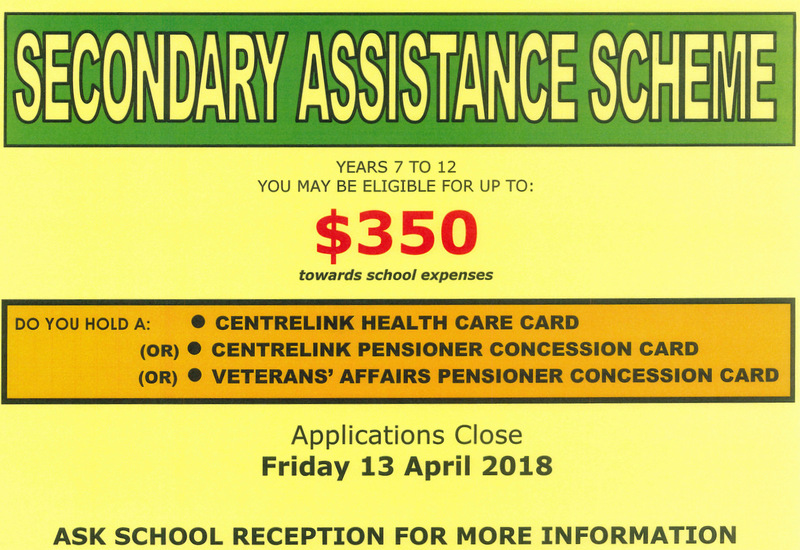 Application is made by the parent or guardian for student/s enrolled in Years 7 – 12 studying a full-time secondary course at a WA private school. Applications close on 13 April 2018. For application forms or more information please see the College Office at either Campus.